Nestled on the beach, this Speightstown resort is within 1 mi (2 km) of Gibbes Beach and Mullins Beach. Speightstown Esplanade and Speightstown Mural are also within 1 mi (2 km). 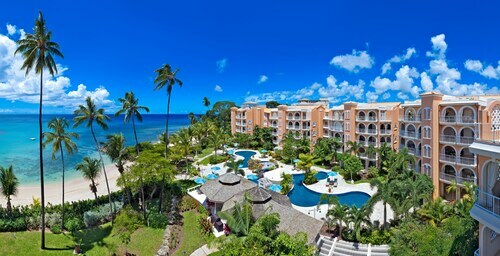 This family-friendly Speightstown resort is located on the waterfront, 2.4 mi (3.8 km) from Mullins Beach, and within 6 mi (10 km) of Barbados Wildlife Reserve and St. Nicholas Abbey. Lime Grove Shopping Centre and Animal Flower Cave are also within 9 mi (15 km). Nestled on the beach, this Speightstown hotel is 0.6 mi (0.9 km) from Port St. Charles Marina and 2.7 mi (4.4 km) from Mullins Beach. Heywoods Beach and Speightstown Esplanade are also within 2 mi (3 km). Situated in the historical district, this spa resort is 0.8 mi (1.3 km) from Port St. Charles Marina and 3 mi (4.8 km) from Mullins Beach. Heywoods Beach and Speightstown Esplanade are also within 3 mi (5 km). Cobblers Cove is a luxury hideaway on the west coast of Barbados. This boutique resort overlooks a beautiful white-sand beach and offers total relaxation and privacy by the ocean. Nestled on the beach, this Speightstown condo resort is 0.1 mi (0.2 km) from Heywoods Beach and 1.8 mi (2.9 km) from Mullins Beach. Port St. Charles Marina and Speightstown Esplanade are also within 15 minutes. How Much is a Hotel Room in Speightstown? 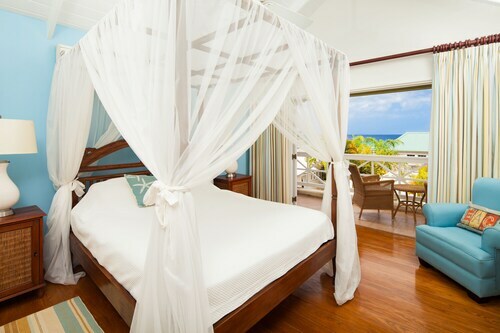 Hotels in Speightstown start at $198 per night. Prices and availability subject to change. Additional terms may apply. 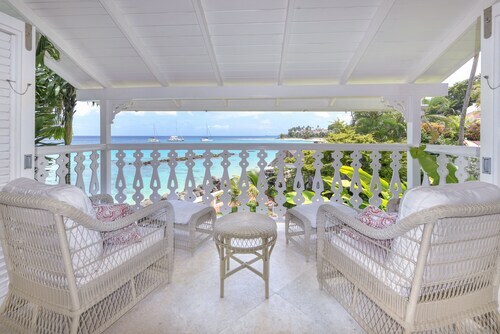 Inspiring hotel options are waiting for you in Speightstown. If you would like to stay within a 6-mile (10-kilometer) distance of central Speightstown, Travelocity's up-to-date database features at least 49 apartments and hotels that meet that criteria. Wise travelers understand that location is a priority to ensure flexible trips, so have a look at the Port St Charles and Sugar Cane Club Hotel And Spa - Adults Only, which you'll find within a 0.6 miles (1 kilometer) stroll of Speightstown's heart. 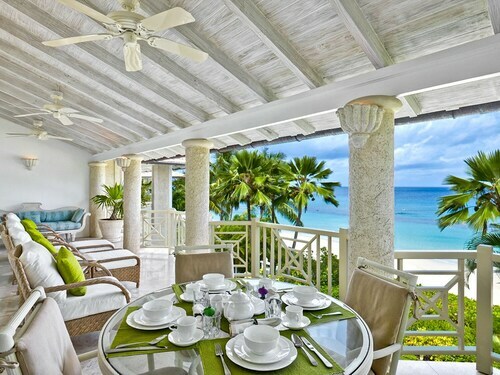 The Serenity Villas and the Wind Surf Barbados are excellently situated if you want to visit the St. Nicholas Abbey. 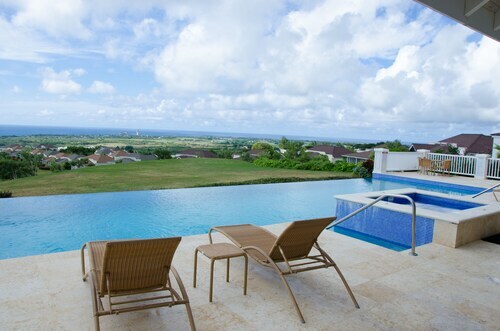 From the Serenity Villas it is just 2 miles (3 kilometers) amble to the St. Nicholas Abbey. Alternatively, the Wind Surf Barbados is positioned only 2 miles (3 kilometers) away. Travelocity's accommodation database contains just a limited number of economical accommodations in Speightstown. The Port St Charles is one of them. You could investigate the Saint Peter's Bay and the The House by Elegant Hotels - Adults Only. The Saint Peter's Bay is situated just 2 miles (2 kilometers) from the heart of Speightstown. The The House by Elegant Hotels - Adults Only, is located 7 miles (11 kilometers) away. Two more alternatives in the neighborhood are the Cobblers Cove and the Crystal Cove by Elegant Hotels All Inclusive Resort. Bathsheba is 8 miles (13 kilometers) to the east of Speightstown and is where you'll find Soup Bowl and Bathsheba Beach. If you visit Bathsheba, check out the rooms at the Atlantis Hotel and Round House. For another option, head to Oistins, 15 miles (24 kilometers) southeast of Speightstown, where you can choose between the Turtle Beach by Elegant Hotels All Suite All Inclusive and Sea Breeze Beach Hotel All Inclusive. While visiting Oistins, be sure to explore the Miami Beach and Dover Beach. Before you leave Barbados, you should certainly ensure you join locals to watch some local teams. Swing by Kensington Oval, to the south of Speightstown. Modern travelers that like the idea of booking accommodation close to the game, book a room in the Island Inn All Inclusive Hotel or Waves Hotel & Spa by Elegant Hotels - All Inclusive. Grantley Adams International Airport is a practical gateway for accessing Speightstown. It's located 16 miles (25 kilometers) from the downtown area. If you plan to stay close by, book the The Crane Resort or Silver Point Hotel. 5.0 Beautiful well maintain villas. when we arrived at the villa it was about 4:00am we was greeted at the gate by security a very well mannered and polite young man who gave us the key,as the taxi drove into the community it was a different world,gorgeous views,and beautiful villas . We had an enjoyable relaxing time..The pool and the gym was great and security was great....will definitely stay at this place again.. The Sugar Cane Club sits on a hill overlooking a grove of royal poinciana trees and the Atlantic Ocean. The beach and Speightstown are too far too walk, but there is a free shuttle every two hours during the day. The hour-glass shaped pool is long enough for lap swimming, and a kiddie pool keeps little children who want to splash out of the way of adults who want to swim The ""rooms"" are actually small apartments. They are newly and tastefully refinished. The kitchen is well laid out and has a full-size refrrigerator and both a range and a microwave. I thought the restaurant was overpriced, so we cooked all but 2 of our meals. The Sugar Cane Club's shuttle picked us and our groceries up at the super market in Speightstown. The weekly manager's cocktail party is a great time to get to know the owner/manager and one's fellow guests. Natalia, the daytime desk clerk, is patient, helpful, and knowledgeable. Fitness room is the best I have ever seen: everything works! Lovely Getaway In Barbados ~ Walk To Queen's Bay Beach ~ Personal Island Tour! Wonderful West Coast Home With sea Views! !